Passware Kit 2019 v2 extracts passwords and other data from macOS iCloud keychains, decrypts VeraCrypt volumes for Linux, and supports an additional LUKS encryption type: SHA512, AES, XTS Plain64. Passware Kit 2019 v1 introduces Password Exchange — a new opt-in service that provides access to the list of passwords found by Passware Kit users worldwide. Passware Kit 2018 v3 recovers passwords for macOS Mojave keychains, MS Office 2019 files, and QuickBooks 2019 databases. Passware Kit 2018 v2 becomes the first commercial forensic software to recover passwords for Bitcoin wallets. It also features instant decryption of APFS disks via analysis of iCloud or iTunes backups. Passware Kit 2017 v5 recovers passwords for McAfee Drive Encryption, extracts macOS High Sierra account passwords from memory images, decrypts LUKS drives, and supports iOS 11. Passware Kit 2017 v4 recovers passwords for DriveCrypt and instantly extracts the master password for 1Password for Mac from memory images. Passware Kit 2017 v2 recovers passwords for iOS 10.2 iTunes backups, WPA/WPA2 WiFi connections. Instantly extracts passwords stored in iOS Keychain. Acquires images (including deleted ones) from iCloud Photo Library. Passware Kit 2017 v1 decrypts FileVault2 volumes instantly using data extracted from iOS backups, supports QuickBooks 2016 and 2017, 1Password for Mac. Adds dictionaries for Danish and Swedish languages. Passware expands its cloud forensics capabilities by acquiring files from Dropbox. It extracts a Dropbox authentication token from computer registry, be it a local computer or a standalone registry folder. With this token it downloads the full user’s Dropbox storage: documents, photos, videos, and even deleted files. NOTE: This feature is available in the Passware Kit Forensic edition only. Passware Kit Business and Forensic get updated automatically if the Subscription is valid. Starting from 2015 v.4, Passware Kit also checks the version of the Passware Kit Agents installed on the local network and updates them automatically if necessary. The Subscription is free for one year since the purchase date. NOTE: This feature is available in the Passware Kit Business and Forensic editions only. For Passware Kit Business, Passware Kit Agents should be purchased in addition. 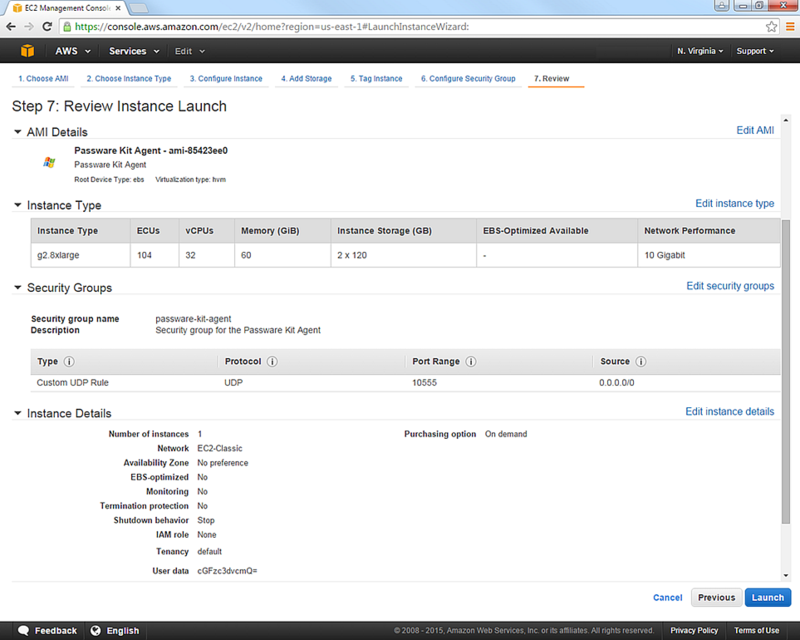 Passware releases a new Passware Kit Agent for Amazon. Compared with the previous version, it is easy to launch and is five (!) 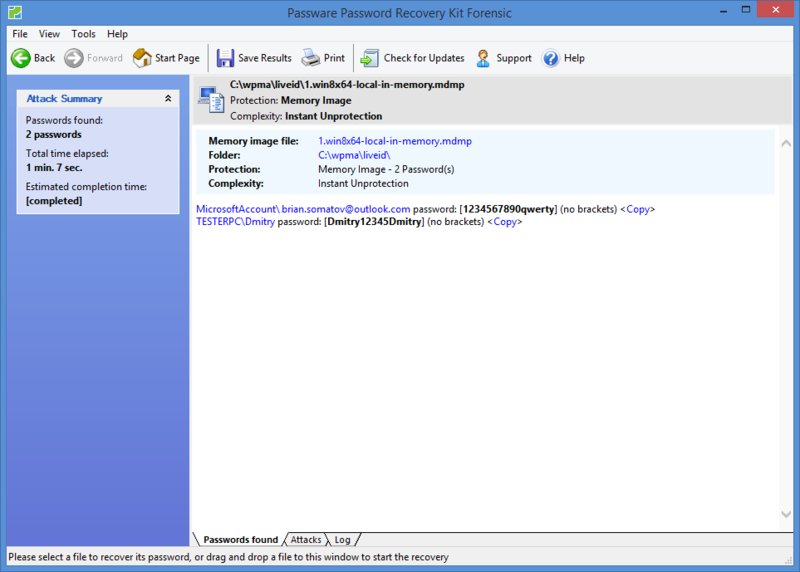 times faster recovering passwords for MS Office 2013 files. The new Passware Amazon Agent also supports password recovery for RAR archives, PGP containers, BitLocker volumes, Android images, and all other file types that require brute-force method. NOTE: Passware Amazon Agent can only be connected to the Passware Kit Business and Forensic editions. 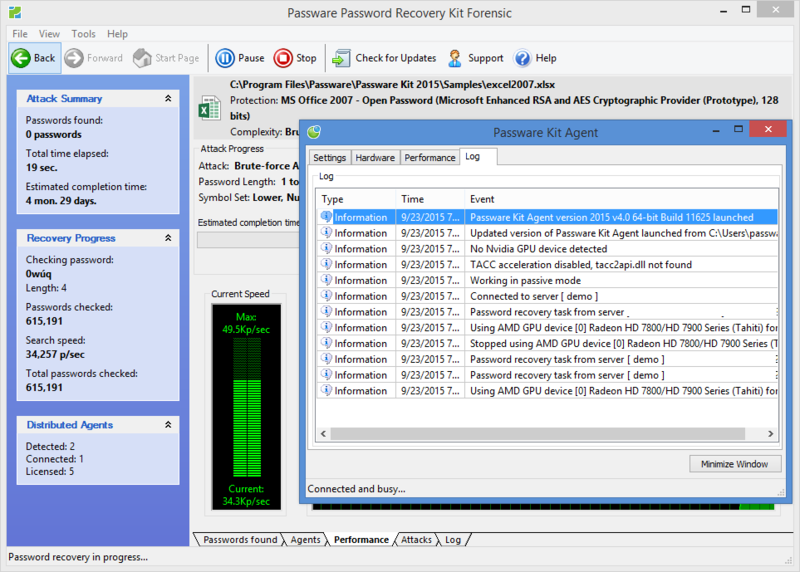 Passware Kit 2015 v.4 updates its hard disk decryption module to support BitLocker volumes from Windows 10. As before, decryption is possible with live memory analysis and brute-force password recovery. NOTE: This feature is available in the Passware Kit Business and Forensic editions only. Passware Kit recovers original passwords for Microsoft Live ID accounts in Windows 8 and Windows 10. 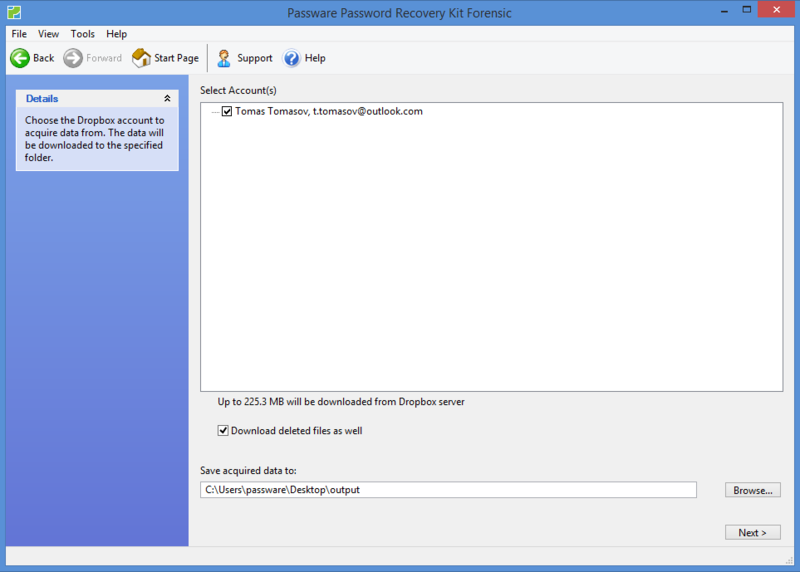 Password recovery is possible from Windows registry files (Windows 8-10) or live memory images (Windows 8-8.1) of the target computers. Passware Kit 2015 v.4 recovers passwords for documents from the latest version of Microsoft Office – 2016. Files from both Mac and Windows versions are supported. Passware Kit 13.0 Introduces 64-bit Version, Recovers Android Backup Passwords, and Launches Passware Kit Forensic Lab Edition.